The founders of Camaraderie Foundation, Marnie and Michael Waldrop, faced trying times when Michael was deployed to Afghanistan to serve in Operation Enduring Freedom. They found counseling to be vital in the reintegration of their marriage post deployment. 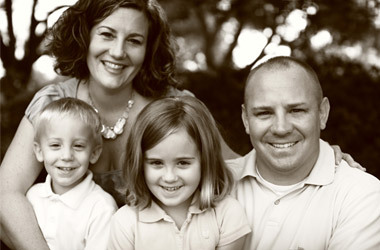 While deployed in Afghanistan, Michael saw six of his fellow soldiers face divorce. Michael observed a number of Service Members who could have benefited from professional and spiritual counseling, but avoided seeking it out, due to the stigma often attached to it. Many Service Members struggle psychologically with the effects of war and battlefield experiences. Troubling issues include Post Traumatic Stress Disorder (PTSD), Traumatic Brain Injury (TBI), depression and many others. Camaraderie Foundation believes that private counseling and spiritual community support can alleviate these issues and encourage Service Members to seek help, without feeling judged or isolated by doing so.